M & S are Building: I'm a woman, I'm allowed to change my mind! I'm a woman, I'm allowed to change my mind! 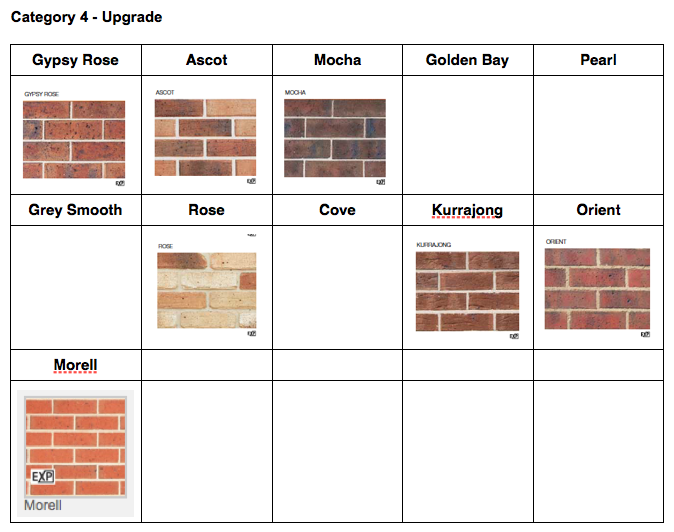 We've now decided to go with brick instead of hebel. 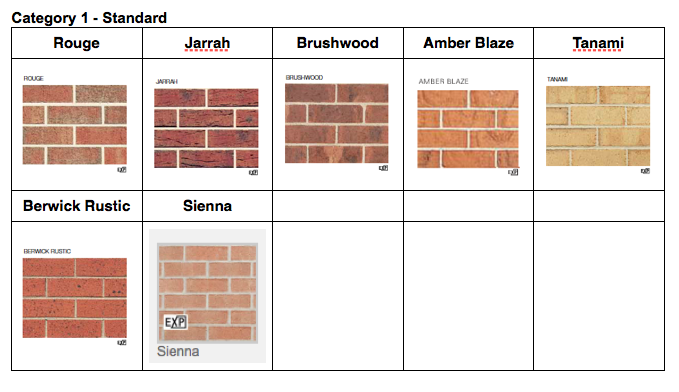 We went driving around some of the newer housing estates in our area and after seeing a house that was only partially rendered, we decided that we would go with brick with a bit of render. The inspiration for our change of mind. 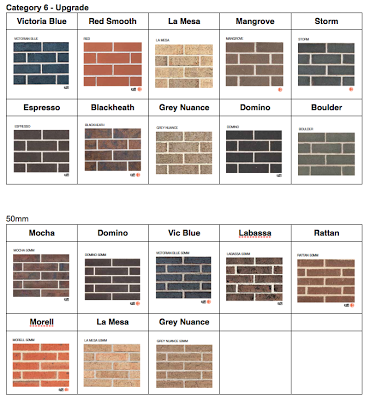 After seeing this house we decided to go with brick. 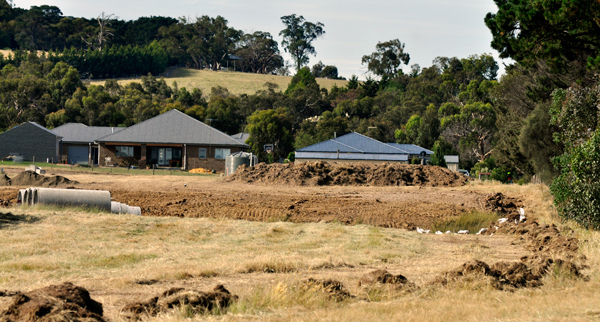 The construction workers have been busy working on the estate. 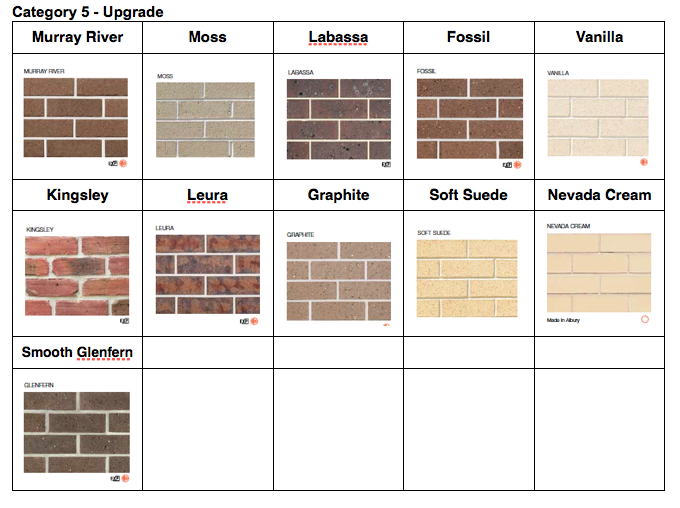 If anyone is looking for this information, here are some of the bricks and their categories for Porter Davis. 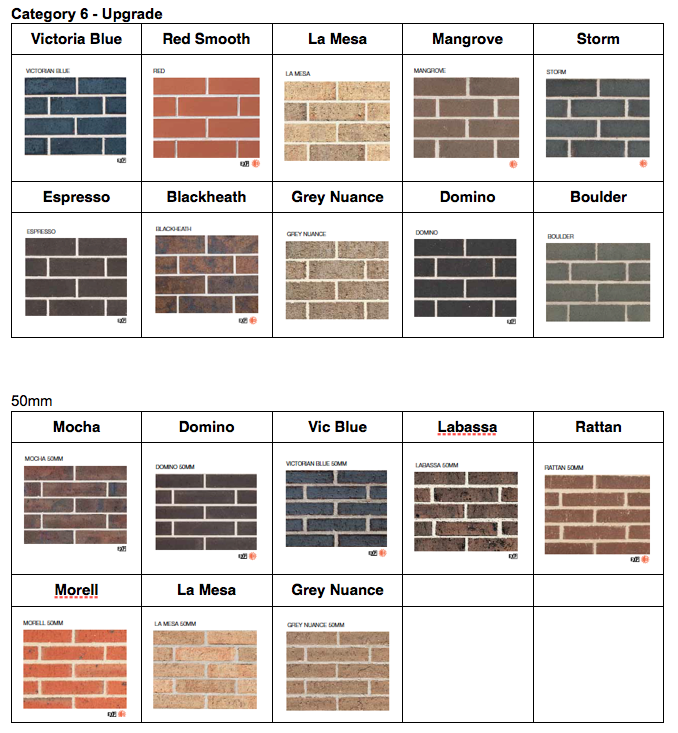 I have no idea of the price differences between the categories, lucky for us the two we really like are in the standard range - Jarrah and Rouge.